On 23 April and 28 May, 2013, a member of IJAN-Canada gave deputations to the Executive Committee of the Toronto City Council, in support of Queers Against Israeli Apartheid (QuAIA)’s right to march in the Queer Pride parade and in support of the City Manager’s recommendations regarding the anti-discrimination policy. For more information on this ongoing struggle, see: http://queersagainstapartheid.org and http://bit.ly/10YGCAp. Every year the United Jewish Appeal (UJA) of Toronto sponsors a “Walk for Israel.” IJAN-Canada works with Women in Solidarity with Palestine (WSP) to organize a counter-presence to the walk. A forthcoming video will demonstrate the connection between UJA and the Jewish Defense League (JDL), who have violently confronted the counter-presence for the last three years. 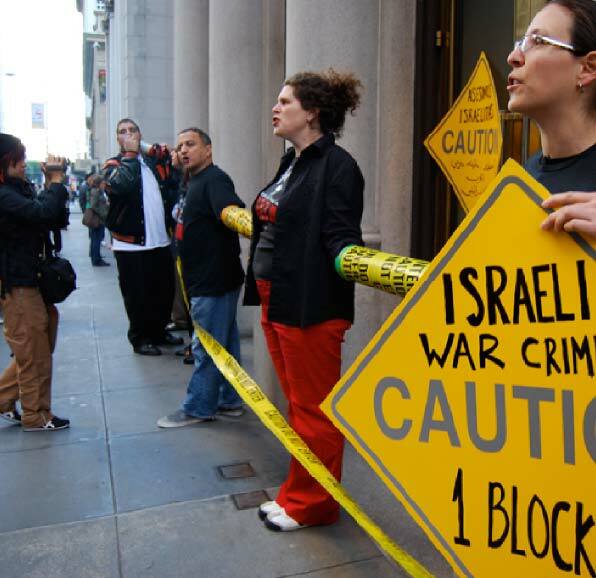 This fall will mark thirteen years of a weekly vigil in front of the Israeli Consulate building in Toronto, that IJAN, Canada co-sponsors with WSP (formerly the Jewish Women’s Committee to End the Occupation of Palestine). IJAN- Canada has been involved with a coalition of groups protesting the proposed Begin/Prawer plan. Two protests have been held so far in response to calls for international solidarity with the Anger Strikes against this legislation. On 5 July people joined the weekly vigils against Israeli apartheid that IJAN, Canada co-sponsors with Women in Solidarity with Palestine. Approximately 40 protesters lined both sides of the street. On 1 August over 60 people stood for two hours, with speakers from Palestine House, Stop the JNF, Canada, Independent Jewish Vices, Toronto, and Gaza’s Ark. IJAN Canada has also started planning for the next Liberation Seder, hoping to build on this year’s successful event in Hamilton, Ontario, held at the Palestine Association of Hamilton.